Every year, a lot of people around the globe spend millions of dollars on their health. The truth is, everyone wants and will love to have beautiful and flawless skin, live pain-free, and look young all the time. 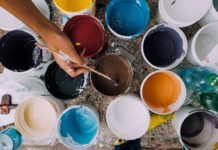 Many have resorted to the use of pills, cosmetic surgery, and other invasive procedures to enhance their looks and boost up the state of their health. However, thanks to the advent of modern technology, you can have better-looking skin without submitting to the painful – and often expensive – procedures mentioned earlier. You can also heal faster from any injury, all thanks to red light. 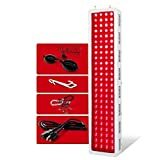 Red light has always been a subject of discourse as the best solution for psoriasis, age spots, wrinkles, and wound regeneration. And even scientists have confirmed authoritatively that near infrared and red light has a significant positive effect on skin cells. 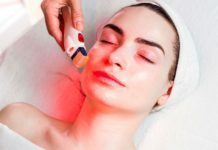 Red light therapy is a non-invasive, therapeutic, and anti-aging technique that involves the use of red, low-level wavelengths to cure skin problems such as persistent wounds, wrinkles, scars, etc. The treatment has already been approved by the Food and Drug Administration (FDA) to combat issues like signs of skin aging. The entire process is painless and does not require downtime. Scientists used the methodology to grow plants in space in the early years of the 20th century. These scientists discovered that light produced by red light-emitting diodes or LEDs helped in promoting the photosynthesis and growth of plant cells. It was subsequently studied in a bid to find the possibility of its application in medicine. The goal was to find out whether it could boost energy within human cells too. The researchers also wanted to know if it could be used for treating muscle atrophy, bone density issues, and slow wound healing as a result of weightlessness during space voyages. It is believed to work by generating a biochemical effect in cells that fortify the mitochondria. The mitochondria, which are present in the cytoplasm of most cells, are the powerhouse of all cells as this is where energy is created within the cell. Adenosine triphosphate or ATP is the name of the molecule that carries energy in the cells of all living things. A living cell can produce more ATP if the function of the mitochondria is boosted or increased. This implies that with more energy, living cells can perform more efficiently, renew or revivify themselves as well as to repair damages. This can only take place when cellular activity is heightened to accelerate the regeneration process of the skin. 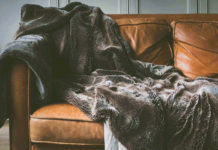 The production of collagen is also stimulated, and blood circulation increases, leading to the calming of inflammation. Do not confuse red light therapy with laser or intense pulsed therapies. This is because red light therapy causes no damage in any way to the surface of the human skin. Laser and intense pulsed therapies work by initiating controlled impairment to the outer layer of the skin which, in turn, induces the repair of tissue. Red light therapy, on the other hand, circumvents this harsh and painful process by stimulating skin rejuvenation directly. The light that is emitted by red light therapy penetrates approximately 5 mm below the surface of the skin. Thousands of laboratory and clinical studies have been conducted – since the initial experiments were carried out – to determine the medical benefits. Although the majority of these studies have shown promising results, the benefits remain a subject of controversy in the medical community. For instance, the CMS (Centers for Medicare and Medicaid Services) have stated that more evidence is needed to substantiate the fact that these devices are better than existing methods of treating wounds, pain, and ulcers. Reduce inflammation caused by acne. At present, it is not covered by insurance firms or endorsed for the conditions mentioned above as a result of lack of appropriate evidence. However, a handful of insurance organizations have started covering the use of red light therapy in the prevention of oral mucositis during cancer treatment. 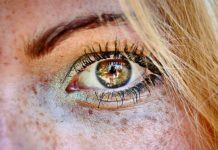 Red Light therapy has been proven to have the potential of causing damage to the eyes. The risk of injury is not as severe when compared to other forms of therapy such as laser therapy, etc. 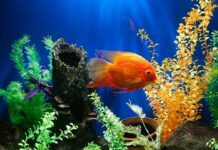 LEDs and infrared bulbs should not be stared at with the naked eyes since they cannot detect infrared wavelengths and you could burn out your retinas. Repeated exposure to these forms may lead to the development of corneal ulcers and cataracts. 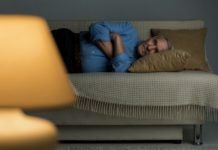 Staring at bright lights for extended periods has also been known to cause migraines, headaches, and severe damage to the eyes. But you can avoid all these problems if safety remains at the top of your mind. This is why it is recommended that you make use of FDA-approved goggles which must always be in use whenever you are undergoing treatment. This is to ensure that you don’t suffer visual problems or eye strain. 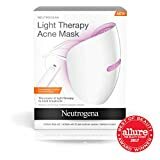 The Neutrogena Acne Treatment Face Mask comes with two different types – red and blue – which help to kill off acne bacteria, clear breakouts, and reduce inflammation. 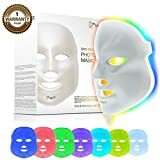 The mask makes use of clinically proven technology employed by dermatologists and considered safe for eyes and skin since it does not emit ultraviolet light. It comes with a single 30-treatment Activator, but users can purchase additional 30-treatment Activators. Activators can, however, be recycled after use. 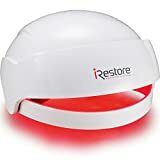 The iRestore hair growth system which makes use of red light therapy and laser to boost the growth of healthier and thicker hair is approved by the FDA as a therapeutic device for treating hair loss. This non-invasive solution is suitable for both men and women with genetic hair loss problems. iRestore can be used together with any other hair loss product because it is believed that it enhances whatever results you obtain from the product as well. The result of using the iRestore hair growth system becomes evident after three to six months. These results can only occur if you use the red light therapy device at least three times every week for 25-minute sessions. iRestore involves the use of lasers with a wavelength of around 650nm to encourage hair growth. There are approximately 51 medical-grade lasers as well as LED lights that radiate energy which is absorbed by hair follicles. It is believed that the absorbed red light accelerates the rate of cell metabolism, thereby reactivating the hair follicles and speeding up hair growth. The Proaller Handheld Cold Laser device, which uses medical-grade laser light, is used for short-term relief of arthritis, minimal muscle, and joint pain as well as muscle spasm. It also helps in relieving stiffness while promoting the relaxation of muscle tissues. 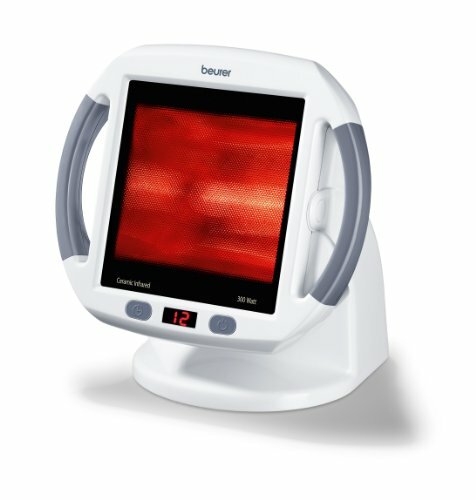 It is a medical device that is safe for use since it emits 808nm therapeutic red light for the treatment of muscle spasm, knee pain, shoulder pain, etc. Another section of the device emits light at a wavelength of 650nm which helps in promoting wound healing and relief of slight discomfort. The device can also be used to increase local blood circulation, especially where heat is required. It comes with different power levels, though the seller recommends that users should not go beyond level 1 power for at least ten minutes. The Proaller Handheld Cold Laser device can be used two or three times every day for fifteen minutes per session. Users can gradually add power and timer according to their adaptability and fitness level. 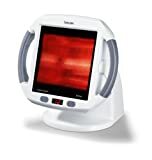 The device should not come in direct contact with the area of the skin that is undergoing treatment; ensure that it is at least one to two inches away from the panel when in use. For use in areas near your eyes, make sure you close your eyes or better still, use FDA-approved goggles to protect them. It might not be a device suitable for you. If you’re looking for the best blood flow device, this one’s for you. Infrared treatment for healing damaged muscles and tissues is beneficial in several ways. 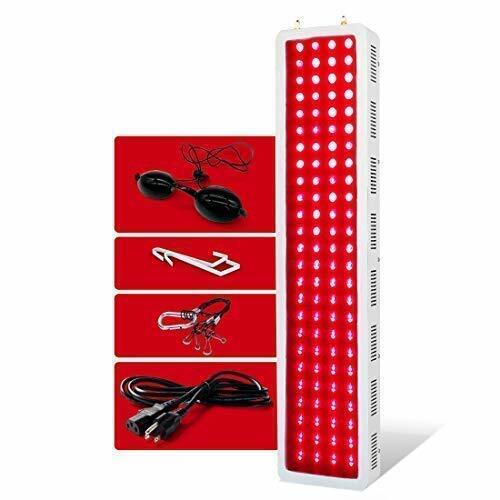 It uses red light therapy technology and emits heat, thus improving blood flow circulation quickly. This results in the rapid healing process of different body areas. This device allows you to cover large areas, meaning that you can use it conveniently on different parts of your body without facing any challenges at all. It is a non-invasive procedure which does not require the use of drugs to treat pain. 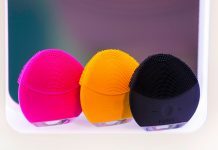 The KissMeEssentials Lamp uses both near infrared and deep red lights, i.e. 850nm and 660nm waves respectively. The light from the infrared bulbs may not be visible, but be assured that they are working big time. 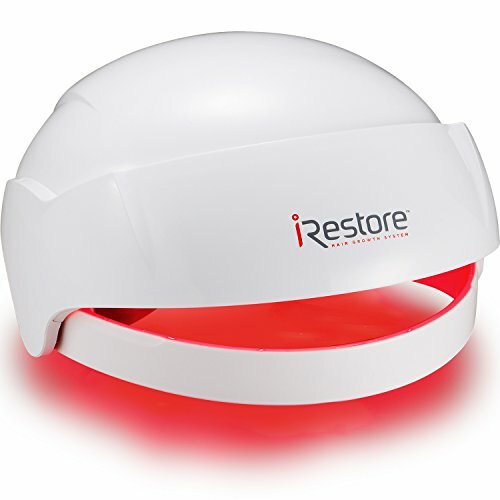 It is a safe, all-natural light therapy lamp used for full-body treatments. The two types of light can be operated simultaneously or separately, thanks to the different power switches on the device. It works for cell regeneration and healing while the infrared bulb provides photonic stimulation. The device helps in the treatment of numerous issues such as arthritis, joint pain, sexual performance, muscle recovery, mental clarity, low testosterone, etc. 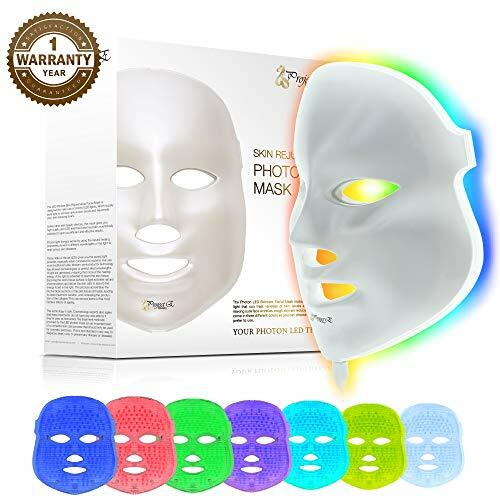 Project E Beauty has innovatively created the 7-color LED photon facial beauty skin care mask to treat a wide range of skin complaints and conditions. Not only can it significantly reduces wrinkles and fine line, but it can also combat fatty areas, improve your skin’s elasticity as well as hinder or stop the development of melanin pigment. You will end up with a more youthful and healthier appearance after making use of this skin rejuvenation device. You can choose any of the seven different colors when preparing your mask for a session. Each of these colors provides unique benefits to the human skin and range from purple (425nm) to red (650nm). For instance, you can go for a red color which is highly efficient when it comes to stimulating the production of collagen for anti-aging and increasing the circulation of blood in the human body. If you need a color for soothing inflammation, cyan is the best option. Purple enhances lymph metabolism considerably. 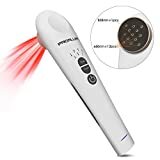 K-Beauty LED Facial Massager works using the red light therapy technology which boosts elastin and collagen to make your skin bright and smooth. The vibrating massage device allows for faster and deeper permeation of skincare products that you make use of every day, thus maximizing the results you’re looking for. 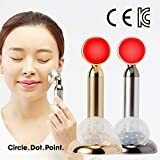 The K-Beauty LED device vibrates 9,000 times per minute, making it a thousand times more effective than just patting on lotions, serums or moisturizers with your bare hands. The machine produces the same effect you’d get from a spa level facial massage by sending rapid but soft movements on your skin. We like it so much so we don’t have anything to mention here. Clinical studies have shown beyond reasonable doubt that red light therapy works! It is highly effective in reducing wrinkles, fine lines, and the elimination of age spots. It also helps in diminishing scarring and accelerates healing. This does not, however, imply that every red light therapy device is equally successful, but it really shows you the possibilities of getting a better and healthier skin and body, without resorting to invasive and expensive methods.